This is one serious cooler! High performance insulation retains ice for 10 to 12 hours. The bag has a leak proof, easy clean lining. 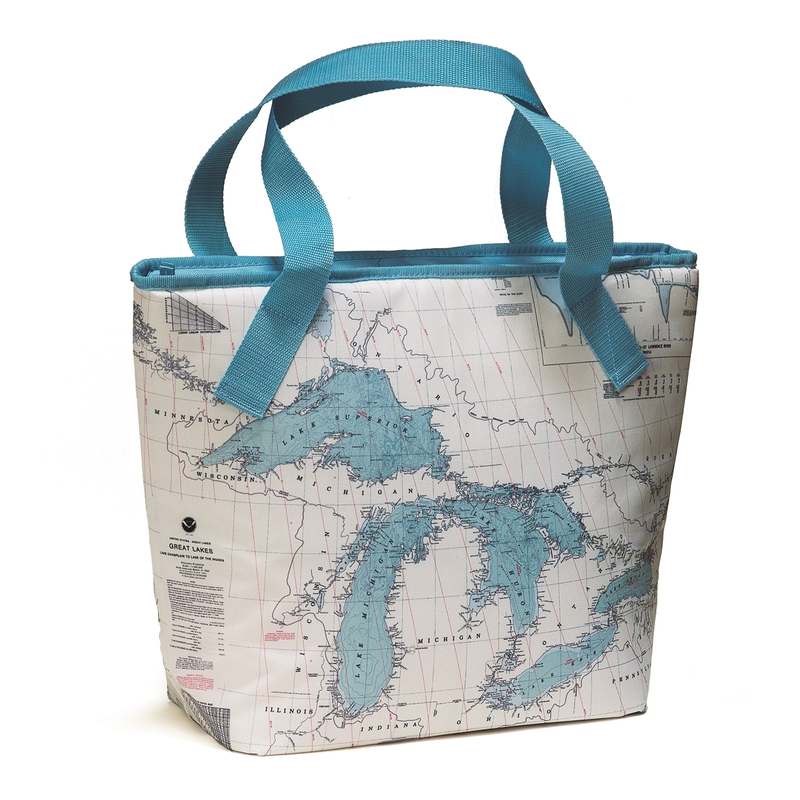 The exterior is water and stain resistant and features a NOAA Chart of the Great Lakes. 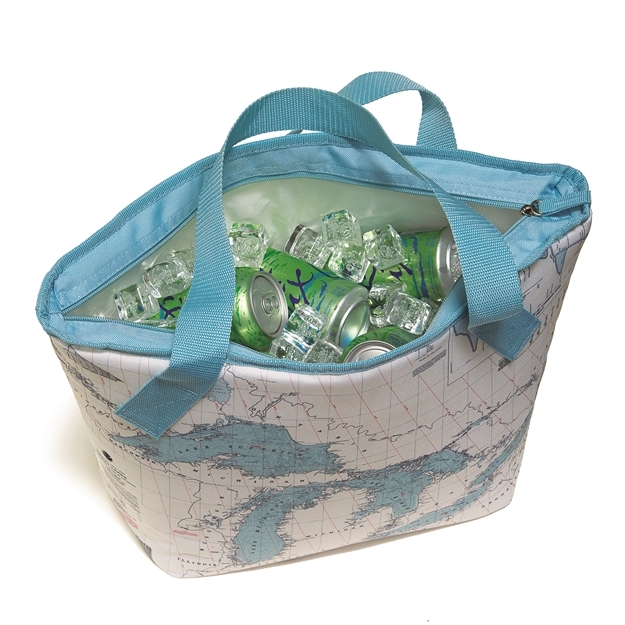 This portable purse cooler bag preforms beautifully, cleans up easy and looks great with a detailed Great Lakes Map. Great for the boat, car and everyday use. Empty size is approximately 16" x 14" with a 6" wide rigid base. Everything went according to plan. The merchandise was as advertised. It was shipped and received in a timely basis. The price was fair. Made a great/easy Christmas gift for friends and family.